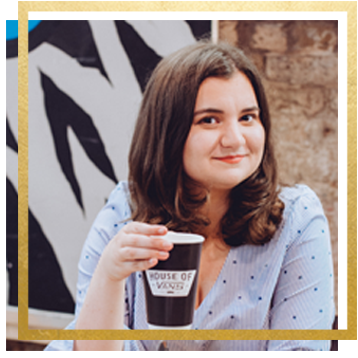 I never thought I would ever mention this on my blog because I always wanted to keep it private but I want to be 10000% honest on here so you guys get to know the real me not just bits and bobs, plus it’s Mental Health Awareness Week so it’s perfect timing. I’m not ashamed of who I am and I’m very happy to do this post as it was my choice and mine alone however I am nervous so I apologise now if I may be sounding more odd than usual. Before I get started I just wanted to add that this isn’t just about me; okay yeah I will be talking about my experience of course but I will also be talking about mental health as a whole so I can help raise awareness and hopefully get one step closer to stopping the stigma that mental health has! I was diagnosed with mild autism when I was 3 years old, well Asperger’s to be exact but you get the idea. I’ll explain in my own words what it is to those that may be unsure but if you would like to know in more detail what autism/asperger’s is then I will leave a link here as I’m not a professional so all I know is from experience. Asperger’s is a development disorder that’s identified by communication problems, odd behaviours and restrictive interests. I’m extremely grateful that I was properly diagnosed and at a very young age because it meant that I could get the right help at school. Also I had and still have a very supportive family who although took my autism into consideration never treated me any differently because of it. I was first told about my autism by my parents when I was around 6 years old, well as much as a child at that age could take in anyway and how did I react? Not much apparently. I took it in but I don’t remember thinking too deep into it? At the end of the day I was only little, I had my mind other things hehe! I did start to notice I was different (I only use this word because it best describes what I’m trying to say) as time went on because of little things like for example when I started primary school I was the only child that had an assistant with them in the class and my friends would be like “why do you have a helper?” and I can’t remember what I replied but I don’t think at the time I fully understood why either, I guess I was just used to it so never questioned anything. How does my autism affect my everyday life? Well I feel like I struggled more with my autism when I was child/teenager which is normal but I’m not going to pretend that it doesn’t affect me anymore because I would be lying. It mostly affects my social skills like I find it hard to look people in the eye when talking to them and meeting new people can be very awkward for me; you’d be surprised how much I’ve improved if you knew me when I was little. I can be funny with routine as well because with some things I have to do them in a certain way or it just feels wrong to me, not sure why but it’s just how I am. I can also feel very anxious in situations I don’t like which can cause me to have a panic attack but I can happily say that it’s more under control now. Another thing, I’m not very good at noticing sarcasm. I’ve really tried I swear but sometimes it’s hard to tell and other times I can take what people say too literal, but I’m getting there! This is going to sound strange what I’m about to say but bare with me, I’m hoping if I explain it well enough you’ll be able to get it: I feel with autism that there are times where I don’t notice it. I’m not saying that I forget it’s just I think it’s easier to recognise certain characteristics from the other side? When I’m talking to someone it takes me a while to realise that my eye contact is a bit off and to me eating my dinner so my food doesn’t touch is completely normal to me even though to others it’s classed as being picky and weird. At the end of the day what I’m trying to say is yes my Asperger’s does affect but I try not let myself see it as a bad thing, I see it as nobody’s perfect and this is just something that makes me unique. Yes I do struggle with things that others may find easy but I’m not embarrassed anymore because I’m proud of how far I’ve come. Also I just wanted to add that there is no ‘cure’ or medication to treat Asperger’s. You could say there is treatment for it but it’s more the case of getting help during school and there’s also speech and occupational therapy. For me, I only remember getting help while I was in education, I was told that I went to therapy before but I was so young I don’t remember or I didn’t know it was therapy one of the two haha! All of this is to improve the way your brain functions and reduce unnecessary behaviour. Basically what I’m trying to say it’s something that you’re born with! Okay enough about me, I’ve written more than enough than it is haha! I wanted to do this post because people gaining more awareness of mental heath is very important as there are people who don’t understand what mental health is and sadly people with mental health problems still get discriminated against which is not okay. People aren’t educated enough on mental health so they end up misunderstanding and unfairly judging them. Did you know that mental health affects thousands of people in the UK? I didn’t even know that! The thing that I find sad is as well as trying to cope with mental health problems they also struggle with things like gaining employment, finding suitable housing, being able to socialise with others etc. you get the idea. Don’t get me wrong not every person who suffers with mental health has these issues of course I don’t want that to be how I’m coming across in any way, there are some that can fully recover and be able to live what society call a ‘normal’ life but other times sadly life isn’t that simple. In a small way I do understand why people may find mental health problems confusing to understand because it’s not like a broken leg where you can see it right in front of you and it can be explained in a way that everyone can grasp. Mental health is more complex and not all mental health problems are the same. So I think the awareness week is an amazing thing as it allows people not just to learn about mental health but helps others in the process. Each year the Mental Health Foundation has a theme and this year is Mindfulness! It’s all about living in the now if that makes sense, not getting stuck in the past or worrying about what the future may hold so just focusing on the present time. I think many people can relate to this and it’s not something that can be solved overnight, luckily the foundation have explained how mindfulness can help people so if you think that could be useful for you click here. In the future I want to do more to help raise awareness on mental health but I would like to think this is blog post is good start! 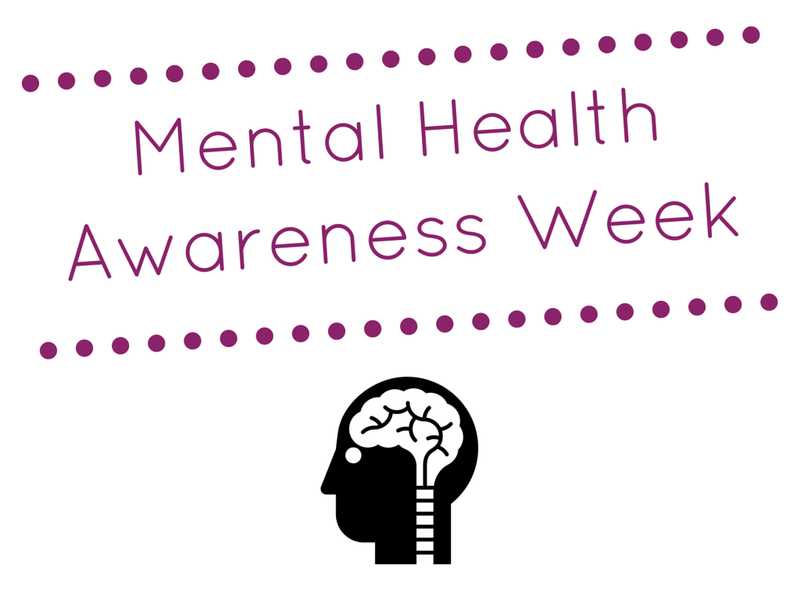 If you’d like to know more about mental health awareness week and what’s going on I’ll leave a link here to the mental health foundation website. When I said earlier that I never planned to mention my autism on my blog I genuinely meant it. First of all I never felt like there was a reason to and if I’m being honest I was scared. I’m allowed to be. It’s nerve-wracking because it’s something that you can’t predict the outcome of. But I’m so glad that I decided to share it with you all, it’s starting to become one of my favourite posts I’ve written actually! That being said, I’m REALLY sorry that it got so long, I wish I could have shortened it but sadly it wasn’t a post I could get away with doing it without leaving important information out but I hope regardless that you’ve found it interesting! Such a great post honey! So important that people talk about mental health and raise awareness of it!! It really is, not just during awareness week but throughout the year too!